Empire Contractors provides a wide-array of commercial roofing services to clients in Muskegon, MI. As a company, we’ve been around since the late 90’s. Over the last 20+ years, our team has earned a solid reputation in Michigan for our high-quality craftsmanship and top customer service. For a free onsite roof evaluation, give us a call at (231) 578-4760. 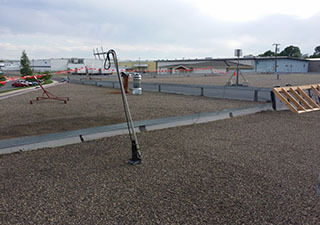 As one of our primary commercial roofing services, Empire Contractors offers thorough roof inspections. It’s extremely important to hire an experienced company to inspect your roof because if all of your roof’s issues are not found, you’ll wind up paying for useless repairs. Empire Contractors will diagnose your roof properly and then proceed to fully repair or restore your roof the first time around. At Empire Contractors, we give each client personal attention. Our maintenance plans are customized to suit your specific roof. Maintenance plans are capable of doubling the lifespan of your roof. With regular roof inspections and a customized maintenance plan, you’ll keep your roof in top condition and pay less on repairs. Did you know that most commercial roof replacements are done prematurely? Empire Contractors can fully restore your roof with a flawlessly-applied roof coating. A roof coating is much cheaper than a roof replacement. The seamless membrane adheres to the surface of your roof which keeps water out. Plus, a roof coating is easy to apply and can cut down on your energy costs significantly because of its reflectivity. When your roof can no longer be effectively repaired or restored, Empire Contractors can help set you up with a new roof. We offer roof replacements at competitive prices. Since we work with all types of commercial roofs, we can install a new roof of your choosing. This includes several environmentally-friendly roofing options. Our team of professionally-trained roofing technicians will expertly install your new roof so that it will last you decades. 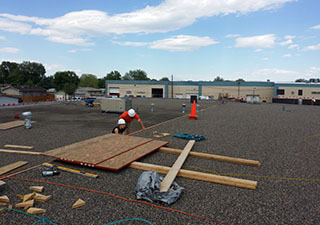 Clients in Muskegon, MI trust Empire Contractors with all sorts of commercial roofing services. We’re happy to answer any questions you may have about our services and we even offer no-obligation estimates. To schedule a time for us to come by and evaluate your roof, give us a call today at (231) 578-4760.